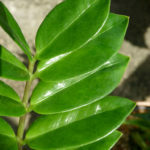 Zamioculcas zamiifolia is a herbaceous plant growing up to 2 feet (60 cm) tall, from a stout underground, succulent rhizome. It is normally evergreen, but becomes deciduous during drought, surviving drought due to the large potato-like rhizome that stores water until rainfall resumes. The leaves are pinnate, smooth, shiny, and dark green, up to 2 feet (60 cm) long, with 6-8 pairs of leaflets up to 6 inches (15 cm) long. 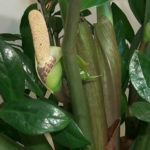 The flowers are produced in a small bright yellow to brown or bronze spadix up to 3 inches (7.5 cm) long, partly hidden among the leaf bases. Flowering is from mid summer to early autumn. ZZ Plant care starts with a lack of care. In fact, ZZ Plants will do better if you leave them alone. Much like cacti, they need less rather than more water. Water the plant only when the soil has dried out. The rare way you can kill this plant is to over water it. 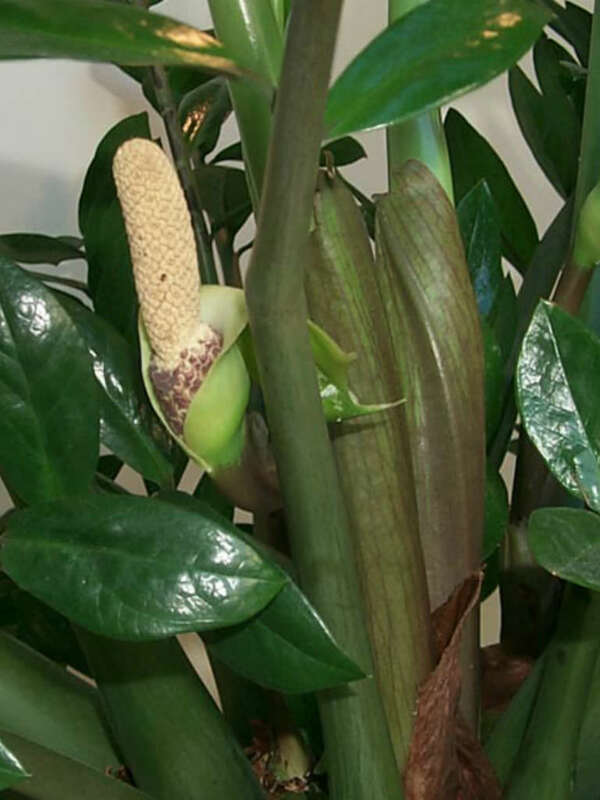 A ZZ Plant turning yellow means that it is getting too much water and its underground rhizomes may be rotting. So if you remember nothing else about caring for a ZZ Plant, just remember to forget to water it. It can survive months without water, but will grow faster if watered somewhat regularly. 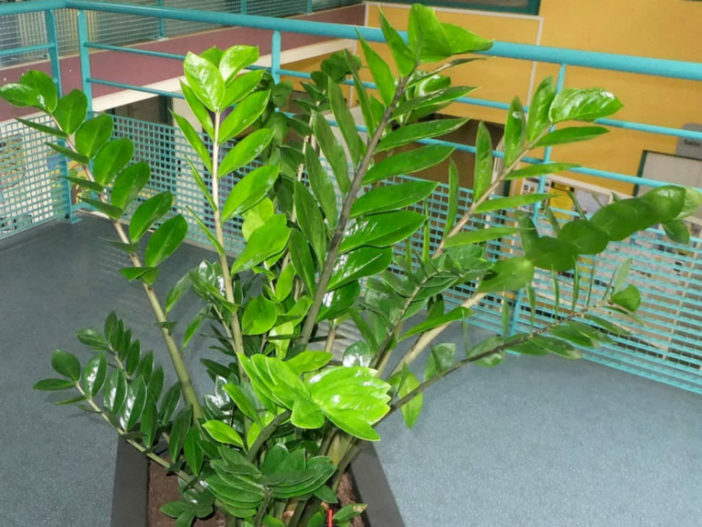 ZZ Plants are happy without fertilizer, but if you would like, you can give the plants half strength fertilizer one to two times a year and only in the summer months. 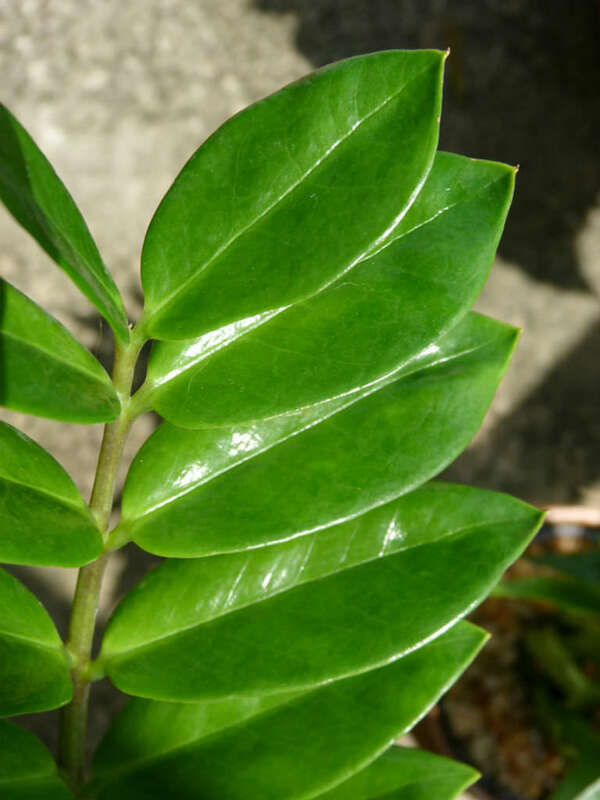 Growing ZZ houseplants is easy and especially suited for the forgetful gardener… – See more at: How to Grow and Care for a ZZ Plant (Zamioculcas zamiifolia). Native to eastern Africa, from Kenya south to northeastern South Africa.